At the end of the 19th century most of the Burgundy communes added the name of the best parcel to theirs. Hence, ¿Saint-Georges¿ was added to the village of Nuits in 1898. With a modest population of 5,000, Nuit-Saint-Georges boasts numerous Premiers Crus registered under the communal appellation. It is also the most southerly of the côte de Nuits. This covers 318 hectares, 143 of which are classified premiers crus (42 in total). The famous Confrérie des Chevaliers de Tastevin was then established in 1934. Due to the growing success of the chevaliers' meetings, the Confrérie moved to the Château du Clos-Vougeot. Nuits also has a civil hospice that was founded at the end of the 17th century. An auction is held there every year on the Sunday before Palm Sunday. 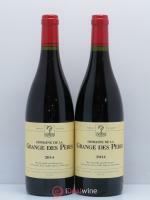 This auction, which has less publicity than the one at the Beaune Hospice, sells wine produced at the hospices (from donations), which comes mostly from the commune's premiers crus. The Nuits Saint-Geroges climats bear witness to centuries of history that have unfolded here, like Saint-Georges, which were believed to have had vines as early as the year 1000, or the robust wines from Vaucrains, Cailles, Champs-Perdrix and Porets, or the Clos from Maréchale, Argillières, Forêts-Saint-Georges, Corvées and Arlot, in the commune of Premeaux. 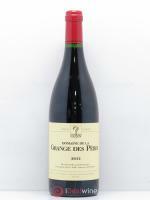 Produced from brown limestone and clay soil, the red wines from Nuits-Saint-Georges are generally dark and intense in colour. 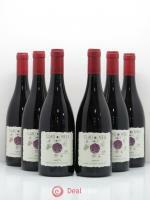 Powerful, complex and well-balanced, their aromas are a mixture of cherry, blackcurrant, truffle and often spices. High in alcohol, these wines are sappy, well-structured and velvety on the palate. 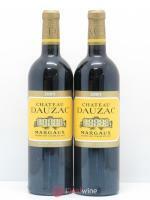 Particularly robust, but round at the same time, they are perfect for a long cellaring.